Song of a Say’s Cicada (scroll down for explanation and additional recordings!). 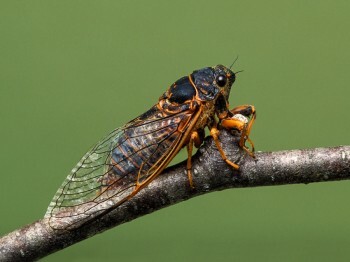 Common in northern deciduous forest habitats, the Say’s Cicada is similar in appearance to the Canadian Cicada but can be recognized by its bright orange markings, especially on the underside of the abdomen, and also by its slightly larger body. Say’s Cicada is semiperiodical, meaning it exhibits a strict four-year life cycle, but individuals can be found emerging in all years throughout its range. 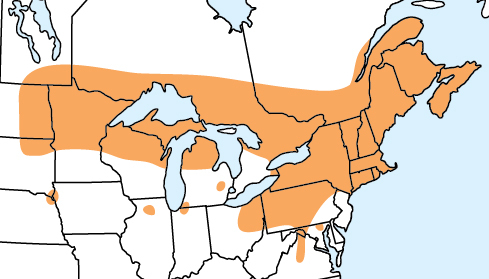 Named after Thomas Say (1787–1834), the father of American entomology. The pupal shells have dark bands around the abdominal segments. pulse rate. 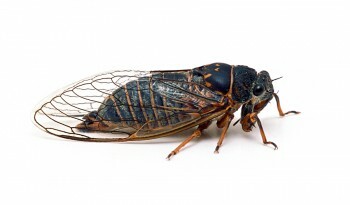 Say’s Cicadas also give short songs, sometimes in a series. Short songs last two three seconds and increase in loudness from beginning to end. 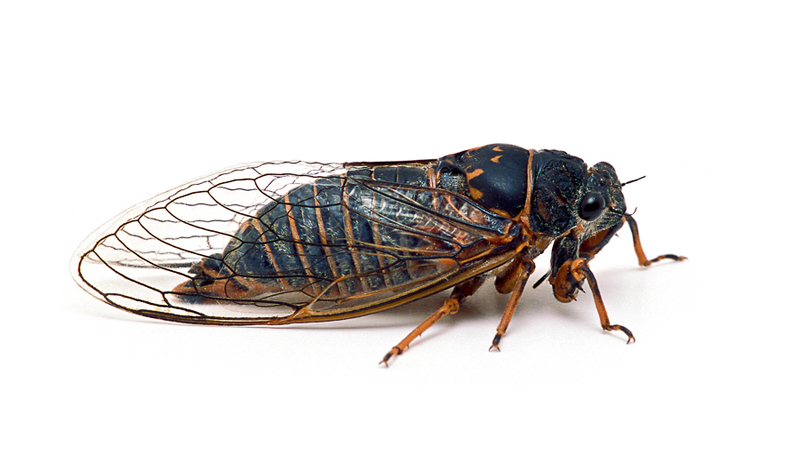 Sonogram of a Say’s Cicada. © Wil Hershberger.